Store cookies in it or without the lid keep a small bunch of flowers and nothing can match the beauty of this vase. This vase is tall and is painted in army green. Lovely art work in black offer this vase a decorative look. 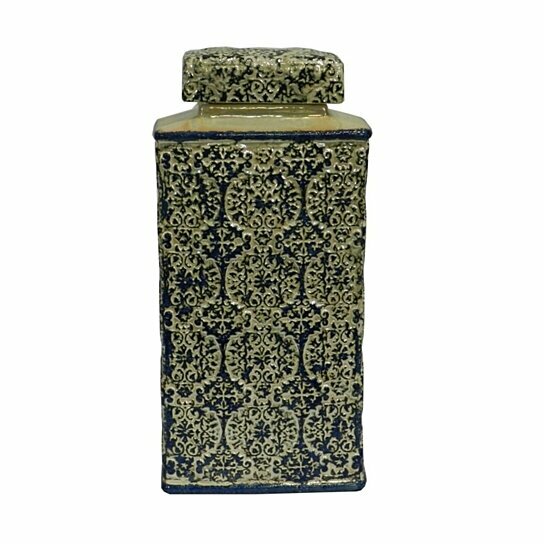 As it has a lid, you can use this vase as a canister too. Keep it on the counter dining table or on any wall ledge of your choice. This vase has a glossy finish and to keep up its shine all that you need to do is regular dusting.